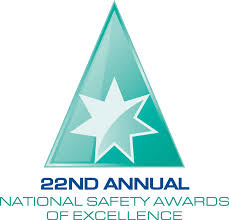 The NSCA National Safety Awards of Excellence were announced recently. Congratulations from everyone at Safety Concepts to all the winners and those organisations who were recognised for their contribution to safety in the workplace. The NSCA Awards are Australia’s longest running, independent awards, recognising outstanding Work Health and Safety initiatives. 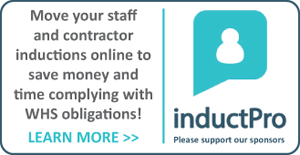 Now in their 22nd year, these awards continue to celebrate organisations and people that actively promote Work Health and Safety (WHS) as a cornerstone of elite business performance. The Pinnacle Award for Safety was awarded to Transdev Australasia. Transdev Australasia has been operating passenger transport services across Australia and New Zealand since 1998, employing more than 5,000 staff and operating a fleet of more than 1,870 vehicles and vessels. Transdev Australasia launched a campaign in 2013 called ‘Safety Starts With Me’ that aimed to re-engage with workers to strengthen Transdev’s safety culture and embed safety as core value and reduce injuries. The result was a 14% decrease in their Lost Time Injury Frequency Rate, across overall operations, between 2012 and 2013. For a full list of the winners and finalists CLICK HERE.